Wash and drain drumstick leaves/ muringayila and keep it aside. In a bowl, add grated cabbage, muringayila, onion, green chillies, ginger, grated coconut and salt and mix well with your hand. 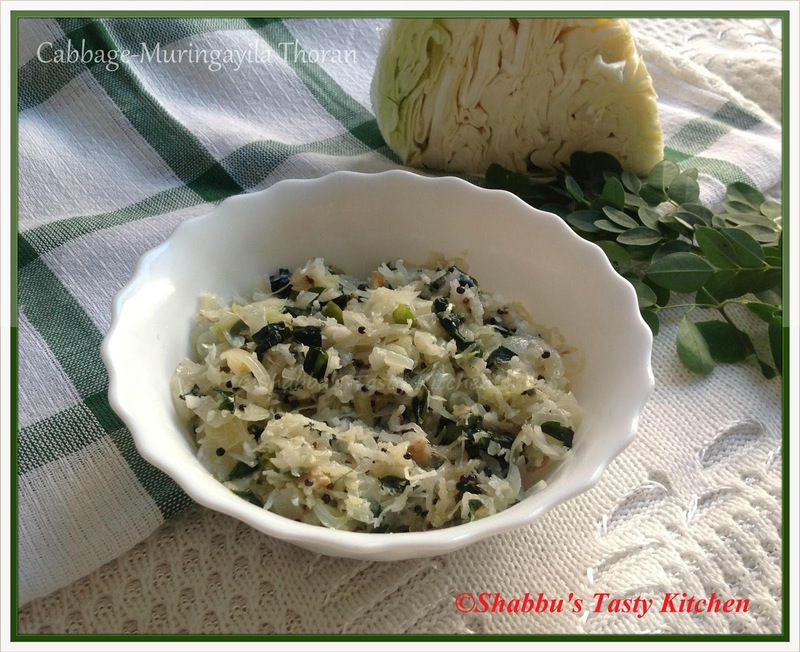 Add cabbage-muringayila mixture and mix well. Cover and cook on low flame till done, stirring occasioanlly. Remove from flame and serve with rice..